Marguerita Club is on a quiet cul-de-sac and a tranquil canal. With its plethora of palm trees, it epitomizes life in paradise. 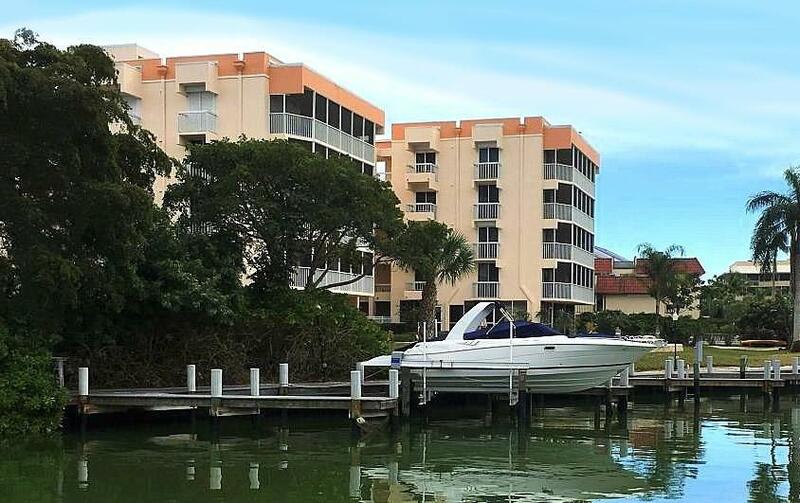 Looking out over the serene waterways, this luxurious waterfront condo is perhaps the ideal boat condo. The docks are assigned, meaning they come with the unit. Boating and fishing fun are always close at hand. This great Marco property falls into both our boating condos category and the walk-to-beach category. With the south beach access just a few blocks away, the value of these condos is remarkable. Its got something for everybody. Monthly maintenance fees for Marguerita Club condos is $630. To review and compare fees at all Marco Island condos, browse are Comparison Charts that can be found on most condo pages. Pets are allowed at Marguerita Club "with approval." Contact us with your pet stats like species, height, weight, hobbies, etc. and we'll look into management's approval for you. The minimum rental period in Marguerita Club is like most others on Marco Island, 30 days. We have organized a guide to all condos that we call a Condo Comparison Chart. They can be found on almost any condo page. For example, if you want to see which boating condos allow pets or have the lowest condo fees, visit or Boat Condo Comparison©. There is only one two-bedroom floor plan in Marguerita Club. The nice thing about the units is they share no walls with neighboring units. This extra privacy is not typical in condos. Click here to see all Marguerita Club floor plans. Enjoy ocean sunsets tinged with pink and purple as you sip a cocktail on your own private patio or balcony. The pure white sand beaches, private boat docking slips, and world-class restaurants are right at your doorstep when you choose to live here. The shopping on Marco Island is incredible, too. Stroll from boutique to chichi boutique all while enjoying the temperate climate and Mediterranean atmosphere that is on offer here.